Brent White is a dispatcher at a private transportation provider in Seattle. He has never owned a car. 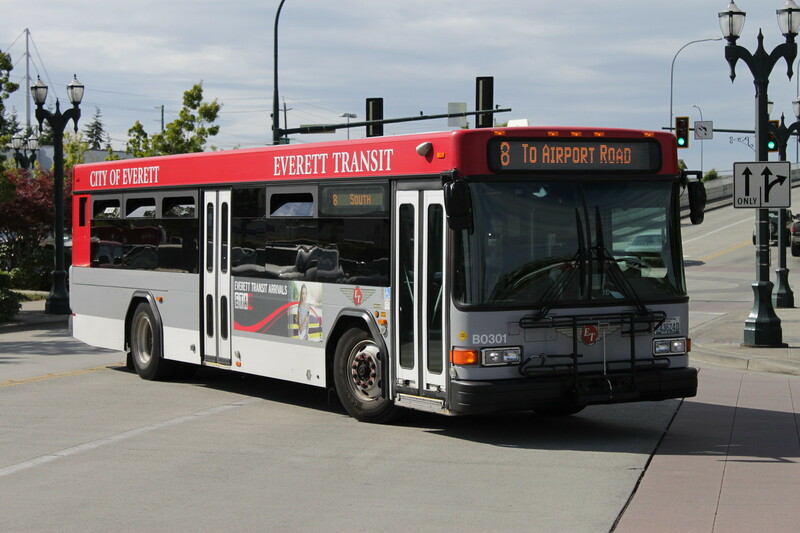 His frequent routes are Link, 60, 124, 128, 132, 180, A Line, F Line, and the myriad of routes that travel between UW Station and the U-District. 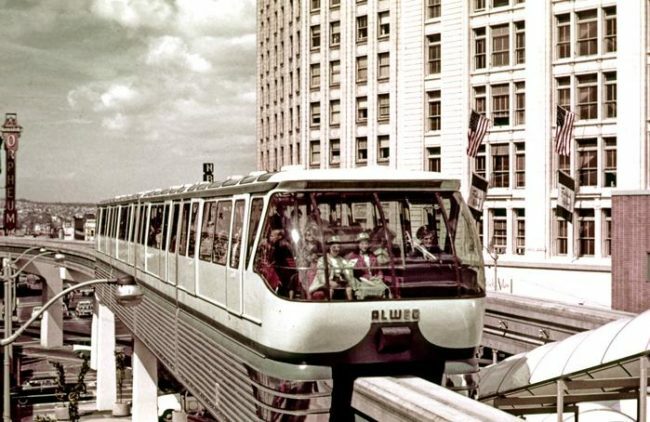 His birthday wish is to get to use his ORCA card to ride the monorail. Update: Engrossed Second Substitute House Bill 1110 passed 53-43-0-2 this evening after 9 amendments and hours of debate. It now goes to the Senate, where it faces an even tougher audience. 5:00 Wednesday is the deadline for bills to get voted out of their original chamber. 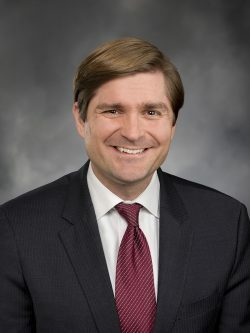 Second Substitute House Bill 1110, which would bring Washington up to speed with California and Oregon on fuel pollution standards to reduce greenhouse gas emissions, is still sitting on the floor calendar. Even though the bill won’t get Washington’s climate emissions headed downward by the 2020 deadline set by many scientists, every bit helps. SHB 1793, the surviving bill to allow Seattle to use automated camera enforcement for its bus lanes, is also still on the floor calendar. 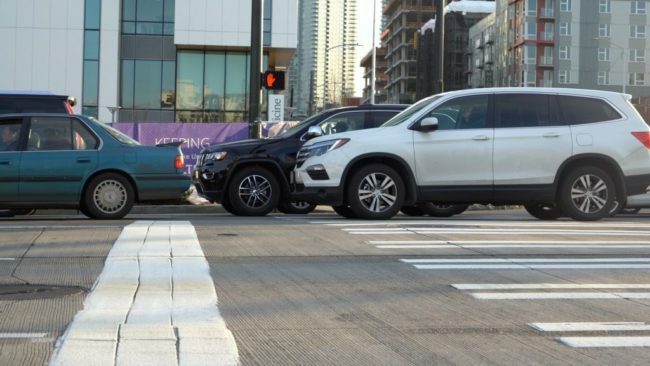 The bill would allow Seattle to use the cameras for other neat purposes too, like fining box blockers, crosswalk blockers, and emergency vehicle blockers. These bills might not come to a vote at all if representatives don’t hear from their constituents that the bills are important. You can look up your legislators’ contact information here. Northgate Link, which will relieve I-5 of tens of thousands of peak commuters, but is nevertheless not considered a “highway purpose”. A little negotiation on a bipartisan Constitutional Amendment could fix that. Friday was the deadline for bills in Olympia to get out of the fiscal committees. Now, all the survivors have to get through their chamber’s Rules Committee, and get passed on 2nd/3rd reading on their chamber’s floor, by 5 pm on Wednesday, March 13. The extremely user-friendly state legislative website lists bills that have made it out of each committee. So, what are the scientists trying to tell us? Science youtuber Joe Scott offers some more dystopian solutions we may be forced to deploy if we want homo sapiens to survive. Think Operation Dark Sky from The Matrix. 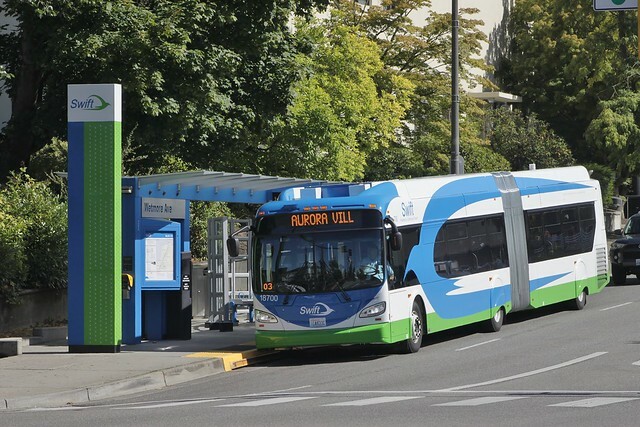 Last Thursday, Community Transit announced a proposal for a low-income fare on CT buses. The proposal would establish a low-income fare of $1.25 on local buses and $2.00 on inter-county commuter buses. Public comments are being accepted through March 8. 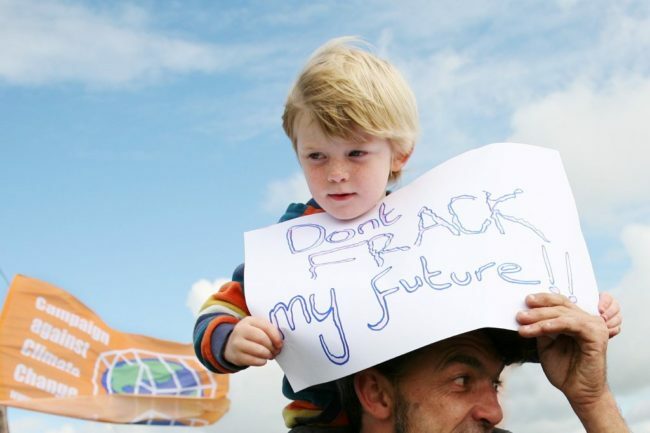 A public hearing will be held on March 7. 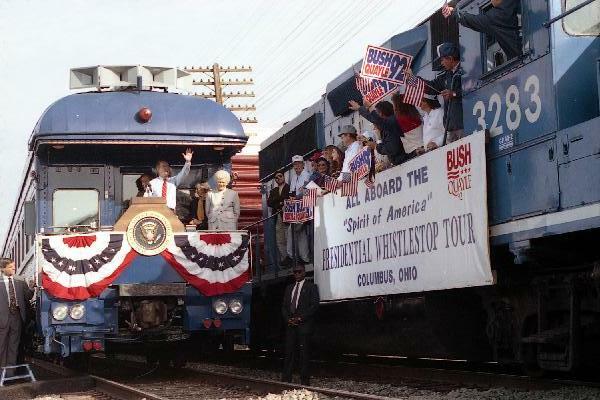 The link above provides several media through which to ask questions and submit comments. The CT Board is scheduled to vote on the proposal April 4. Update: A previous version of this chart showed the wrong local youth fare. Sorry. If approved, the fares would take effect on July 1. Update: The two automated camera enforcement bills are scheduled for hearings next week. Senate Bill 5789 will be heard Monday at 3:30 pm. House Bill 1793 will be heard Thursday, February 14 at 3:30 pm. 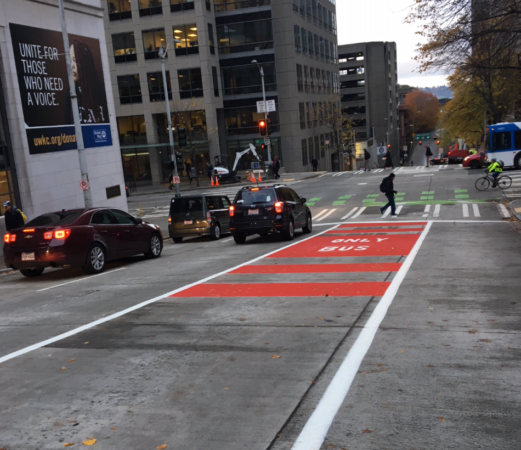 Four bills were introduced last week — two pairs of identical “companion” bills – to give WSDOT and local governments more tools to get cars out of lanes they aren’t supposed to be in. Senate Bill 5695 had its hearing (TVW recording) in the Senate Transportation Committee Tuesday. 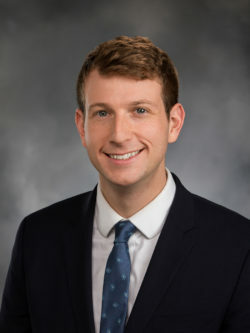 House Bill 1710, by Rep. Jake Fey (D – Tacoma) and SB 5695, by Sen. Marko Liias (D – Lynnwood), would raise the fine for high-occupancy vehicle (HOV) lane violations. The current fine is $136. Under the bill, the fine for a first infraction would be $242. The second violation would cost $499. Additional infractions would cost $755 per occurrence. The two bills were requested by WSDOT. At the hearing for SB 5695, Sen. Liias gave anecdotal testimony, from the experience of a friend who has a baby in the back seat, that lane violators are probably being caught roughly once per hundred times they wrongfully enter HOV lanes. The current penalty of $136 for an HOV [lane] violation provides little deterrent to violators. In some places as many as 50% of HOV [lane] users do not meet minimum occupancy requirements. HOV lanes carry more people than adjacent general-purpose lanes due to higher occupancy of each vehicle. However, only 1 of the 10 monitored HOV peak-direction corridors met the state performance standard in 2017, down from 2 corridors previously. The degree of compliance with the performance standard worsened for all 10 monitored locations in 2017 compared to 2016. Several bus routes start using this red bus-only lane on Columbia St today. The car tunnel under downtown opens today, and will be free until at least summer. Routes 21x, 37, 55, 56, 57, 113, 121, 122, 123, 125, and the C Line shift to the blue path southbound today. Northbound paths continue to follow the yellow line this week. Click here to enlarge. 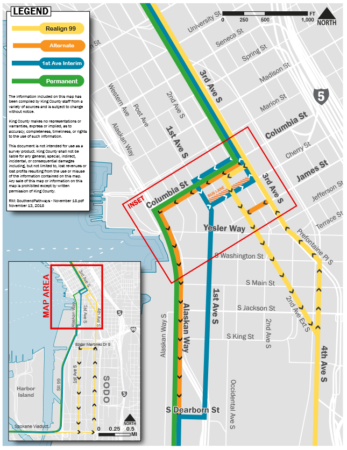 West Seattle and Burien express buses will now use Columbia St (with its recently-painted bus lane from west of 3rd Ave to 1st Ave), 1st Ave S, Dearborn, and then S Highway 99 to exit downtown. 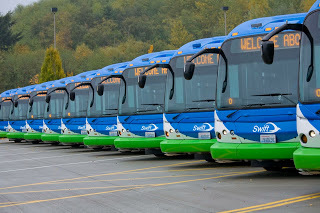 Northbound paths into downtown for these buses will continue as they have been the past three weeks. 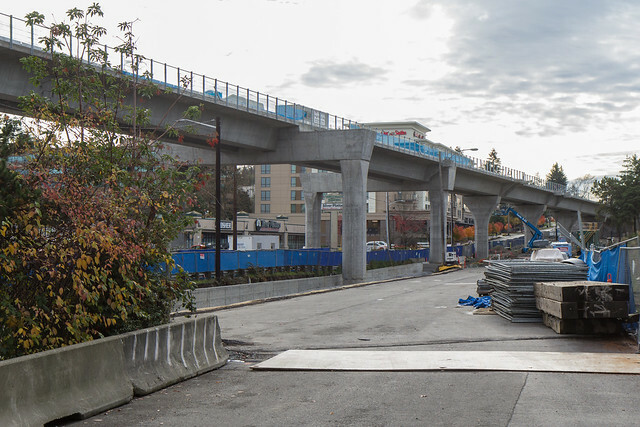 The northbound exit from Highway 99 onto Dearborn St will take another 1-2 weeks to finish, so don’t drive north on Highway 99 to downtown if you don’t want to go through the tunnel. All that said, your new bus routes could be pre-empted by snow re-routes. 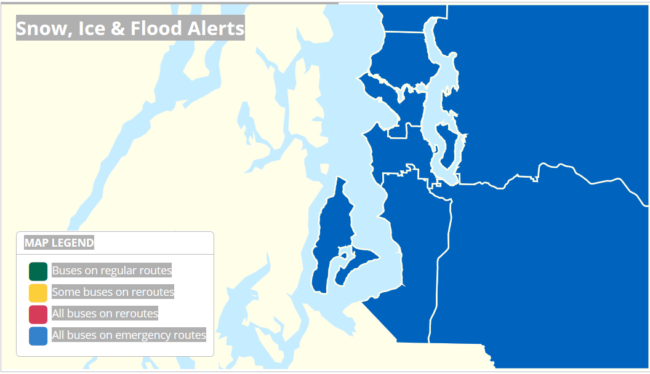 Check out Metro’s winter weather page for a map of where snow re-routes are in effect, links to winter traffic alerts and apps that will help you navigate your commute in the snow. Ride2 service is cancelled. Community Transit is warning of 60 minute delays across the board. Sounder is delayed. Link is operating normally. Or, consider hanging out safely at home today.